She has just turned 21 today and one-time Bollywood child star (now a South craze) Hansika has already 'embraced motherhood'. The actress adopted girls Sunita (7) and Reena (5) and will sponsor their education and welfare till they turn 18, just like she did for 20 children before this.She reveals, "When I was a child, my mom would celebrate my birthday at an orphanage. I didn't realise it then but I now realise the importance of social responsibility. My mom advised me to take care of the education and welfare of any child. And charity does begin at home, so I decided to adopt my maid's girls. I want to be a socially responsible individual and could not have asked for a better birthday than this." The 21-film-old actress will have a cosy family get-together at her Mumbai home. "There will be no shor-sharaba… just a quiet and simple dinner at home. "Busy with four Tamil and two Telugu ventures, Hansika is also keen on Vaalu (Singham remake) and Vettai Mannan (Delhi Belly remake). "Singham and Delhi Belly were huge hits. I'm looking forward to doing their Tamil versions," she says, adding, "There's also an untitled venture to be produced by Jaya Prada and a film with Vishnu Manchu, which is a Mohan Babu production." There is a Hindi film in the offing too. "I always told myself that once I turn 21, I will start doing Hindi films and there is an interesting offer that's come my way, but won't be able to reveal anything at this point. I want to choose my projects carefully and decide wisely just like the way I did for my Tamil and Telugu projects." Not long ago, we had reported how Ajith has been approached by Gauri Shinde's unit to appear in a cameo role in her directorial, English Vinglish. And now, we can tell you that the actor has lapped up the offer, and will soon be shooting with Sridevi for the same. A source close to the actor reveals, "Ajith is a huge fan of Sridevi, and highly respects her for her acting prowess. So, he decided to make a guest role in the film. He will be shooting with Sridevi in Mumbai during this weekend. He will be shooting for the Tamil version of the film, while Amitabh Bachchan has already shot for its Hindi version." 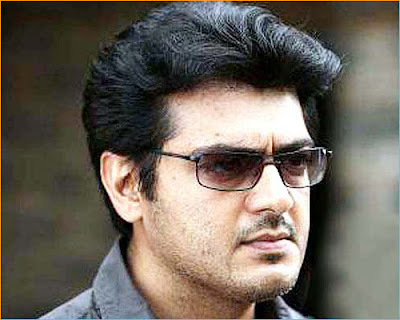 We hear that Ajith will stay on in Mumbai, and start work on his yet-to-be-titled film with Vishnuvardhan from August 15. "It will be a long schedule, which will go on for at least two months." Tamil superstar Suriya's upcoming film, which was initially titled Maatran, has now been renamed as Maattrraan. But, it's not numerology at work. Since, Suriya is playing conjoined twins in the movie, the film is now being spelled Maattrraan, with all the letters except 'M' and 'N' being used twice. Apparently, it was director KV Anand's idea to add extra alphabets to the film's title. The filmmaker, who has given blockbusters like Ayan and Ko, is known for his smart packaging. In the meantime, preparations are in full swing for the film's audio launch to be held in Singapore on Thursday (August 9). Harris Jayaraj will be performing live at the event. The film, which also has Singham girl Kajal Aggarwal, is set to release on September 18.